gDMSS Lite for Smart TV: I hope that many of you are searching on how to install gDMSS Lite for Samsung Smart TV, but did you ever try to know on which OS does your Samsung Smart TV is working on. If not, then it is the time to know. Samsung is using its own Tizen OS for its Smart TVs as it was using for its smart watches and Cameras. Tizen App Store is very limited and you can’t find many apps which are available for Android. There are few other smart TVs which are running on Android OS like Sony, Sharp etc. which will have access to Google Play Store. So, to install gDMSS Lite on Smart TV which are running on Android OS, all you have to do is to install it from the Google Play Store directly. You don’t have to enable Unknown Sources option for this. This is only for Smart TVs running on Android OS, make sure that you have Google Play Store app installed on your Smart TV. If not, you have to install it before to install gDMSS Lite app. If you have access to internet on your Smart TV, then you can install Google Play Store app from internet or else you can copy Play Store Apk to a pen-drive or SD card and then you can install it from there. Please check for tutorial for your specific model in the internet. Launch Google Play Store App on your Smart TV. If you want to know more about gDMSS Lite app, then you can get it from here: gDMSS Lite – Surveillance App. 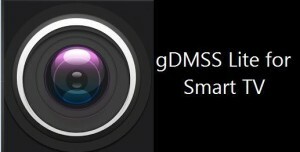 We will see possible ways to install gDMSS Lite app on Samsung Smart TV in the next post.